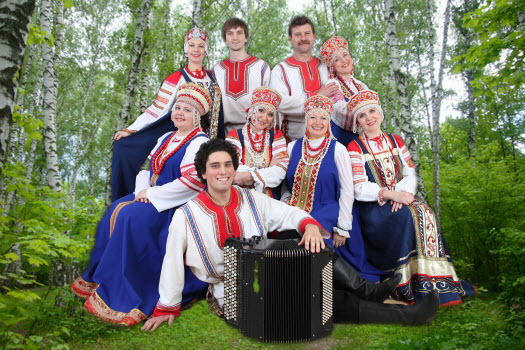 The Zvontsy folk ensemble under the art direction of Merkushova Irina Mikhailovna who is the honoured worker of culture of the Moscow region was created in 1986. The ensemble has been having the honorary degree of ”Folk collective” since 1996, it is also a laureate of the folk festivals in Tunisia(1997), Holland(1998, 2003), Poland(2002) and Germany(2003), Lithuania (2008), Yalita (Crimea, Ukraine, 2008), Vietnam (2010) . 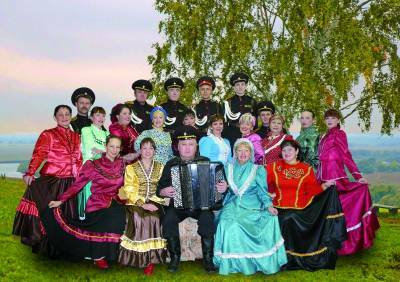 Zvontsy regularly participate in the All-Russian folk festivals, in the cultural servicing of the city and state programs (e.g. 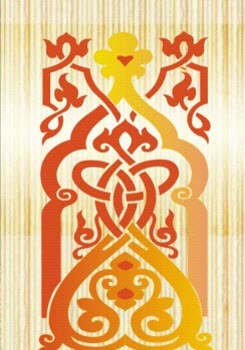 City’s days, Olumpiads, the Days of Slavic Culture, etc. ), they performed on the Vasilievsky descent, on the Poklonnaya hill, in the Gostiniy Dvor and on the other city’s squares, they also took part in TV broadcasts (Channel 1 Public Russian Television and Channel 3 TV Centre). The ensemble has many its fotos, video and audio materials. From 2001 the collective issued several CDs with songs records. The special feature of the Zvontsy ensemble is very careful attitude to folk arts and crafts, the original manner of performance, the skill to play in a musical character of the folk songs and to make them clear and close to our time. The repertoire of the ensemble consists of more than 300 songs of different genres: roundel, lyrical, dancing, jocose and other songs of the Moscow, Kursk, Bryansk, Belgorod, Arkhangelsk and Russian regions, as well as the songs of the Altai Territory, Kuban, Siberia and Stavropol. Along with these songs the repertoire of the ensemble is represented with the stage performances of the ceremonies "Russian wedding", "Kolyada", "Shrovetide", "Trinity" and a cheerful play program with the spectators’ participation. The ensemble is open for partnership with the organizations, societies and private persons in Russia and abroad interested in co-operation.